The exhibition presents case studies of the persecution of German Sinti and Roma (‘Gypsy’) families under National Socialism between the 1930s and 1945. 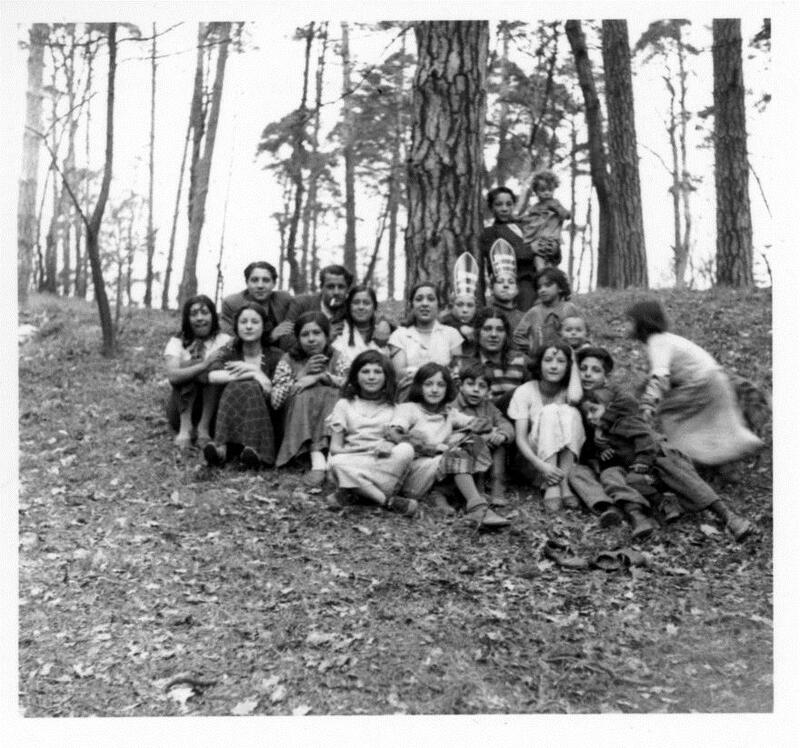 Most of the images are photographs of members of three Sinti and Roma families, which were taken by the photo-journalist Hanns Weltzel (1902-1952) in and around his home town of Dessau-Roßlau, photographs now held in the collections of the University of Liverpool. The subjects of the photographs are linked to each other not only by their connections within and between families, but above all by the fact of relatively extended contact, and sometimes friendships, with Hanns Weltzel. The core group who constitute the focus of the exhibition was living in Dessau-Roßlau at the beginning of 1938, and the story of their active exclusion and persecution began with their expulsion from the town. From there they were taken to the Magdeburg “Gypsy camp”; most of the men were transported to the concentration camp Buchenwald in June 1938, and the remaining families were deported to Auschwitz-Birkenau in the spring of 1943. Weltzel’s photographs show us the everyday lives of the families in the years before their internment and deportation. The exhibition draws on this material to tell the story of individual families, including the prehistory and the post-war consequences of the Nazi persecution. It is supplemented by photographs from police, camp and judicial records that evidence the surveillance, persecution and murder of individuals and the experiences of the survivors. The point of the exhibition is to bring the story of the Roma genocide alive by focusing on specific individuals and the details of their life histories. In the variety of their experiences of persecution and survival, however (detention in “Gypsy camps” and concentration camps, forced sterilisation, slave labour, medical experiments, mass murder, and also survival in hiding, escape abroad, the struggle for compensation), these people’s stories are representative of the pan-European experience of Roma and Sinti. The exhibition is presented not only as a memorial to these victims, but as a call for reflection on the part of majority communities and for justice and equal opportunities for Sinti and Roma in Europe and worldwide. The panels about the Sinti and Roma families will be exhibited at Charles University (Carolinum, Celetná 20, Prague) from 23 September to 3 November 2017. STILL A CHANCE FOR VISIT: The exhibition is prolonged until 12 November 2017.